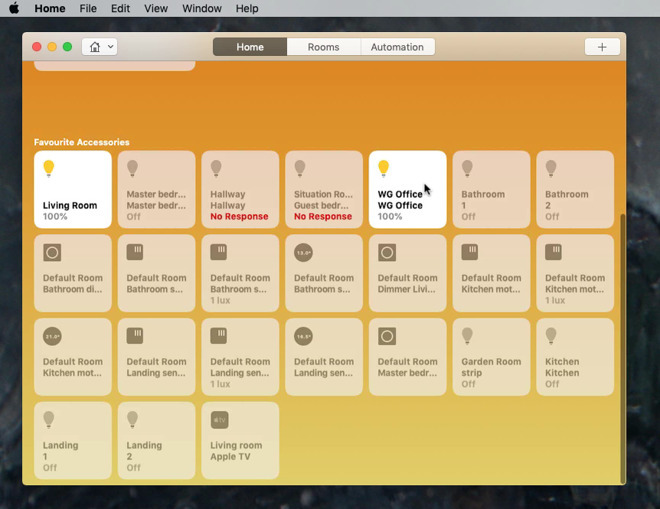 It's a surprising blessing to have the Home app on your Mac, where you can control lights and other smart devices from the keyboard. Yet the app is oddly incomplete compared to the iOS version. You already have Apple & # 39; s Home app on your iPhone and iPad. It is also on Apple TV. So on the one hand it seems logical that it comes to the Mac, but also a bit pointless. 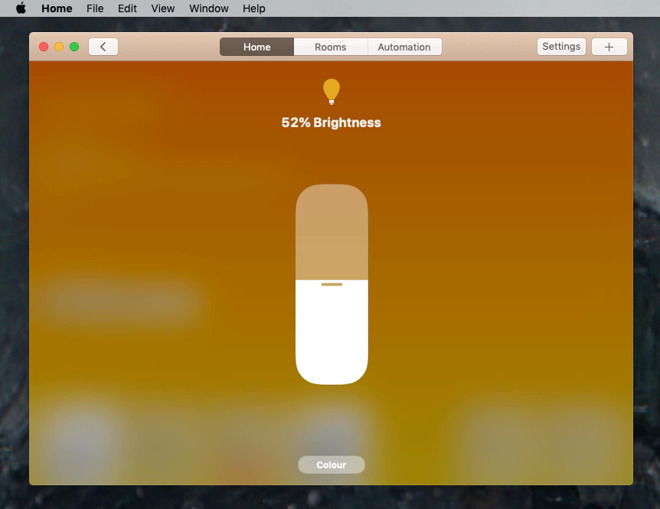 This is the app that lets you control smart devices like motion detectors and if you're on your Mac, you do not really move much. But although that is true and even though you could pick up your phone to turn on your lights, Home on macOS Mojave is good. It is a central place to serve all your smart devices – and it is the central place where you happen to spend a lot of time. If you have never been bothered by the iOS Home app or if you have not succeeded in getting smart devices, you will be able to do so. The Home app controls every device around you – at home, in the office, possibly on your yacht – using the HomeKit from Apple. 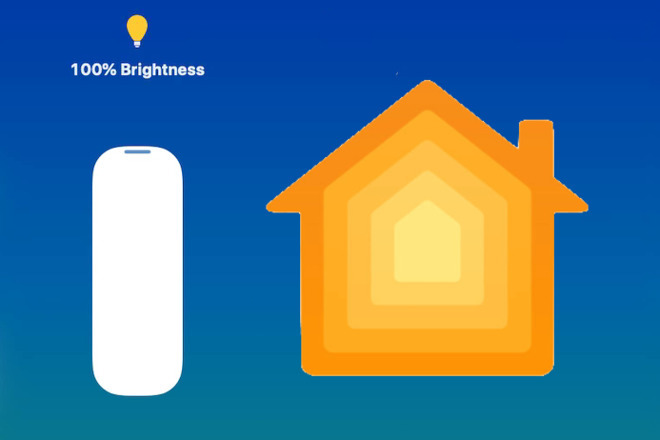 You therefore need a number of smart devices and these must be compatible with HomeKit. Far from all such devices works with HomeKit and actually they all have their own systems or even apps. Instead of using a Nest app for your thermometer or a Hue app for your lamps, Home lets you combine everything you can in one place. None of these smart device apps is great, not even Apple's home, but having one place for everything is good. What makes it a bit strange that Home for Mac lacks a main characteristic. 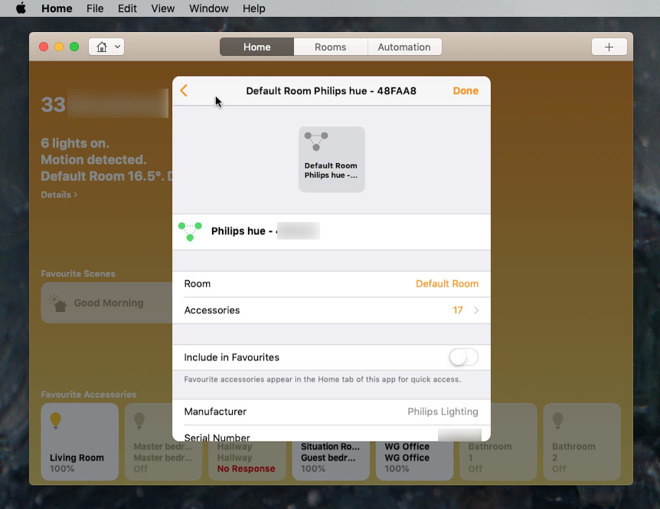 In particular, you can not add a new accessory such as a light bulb to your home Wi-Fi network with Home on the Mac. You have to do it via the app's app – or via Home on iOS. Home for the Mac is a direct port of the iOS app but lacks some important elements. That said, while you have to know about these elements if you will scratch your head a lot, you can expect these differences to slowly disappear. Aly compared to the Mojave Beta period, for example, we have seen significant improvements. The main improvement since that video is how Apple has added back to an iOS Home feature to easily have the best aspect of having smart devices: the ability to know when you're at home. Maybe that's just because this is a new toy, but we have not only played with it, we are also inclined to buy new Phillips Hue lights. So Home is a free app, but it has ensured that we have spent money. 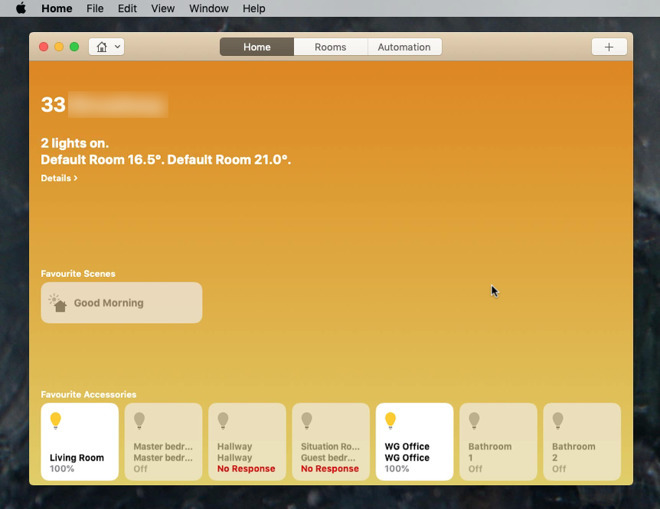 We are happy, however, because we have now used Home On Mojave to automate our office once it has all been set up. 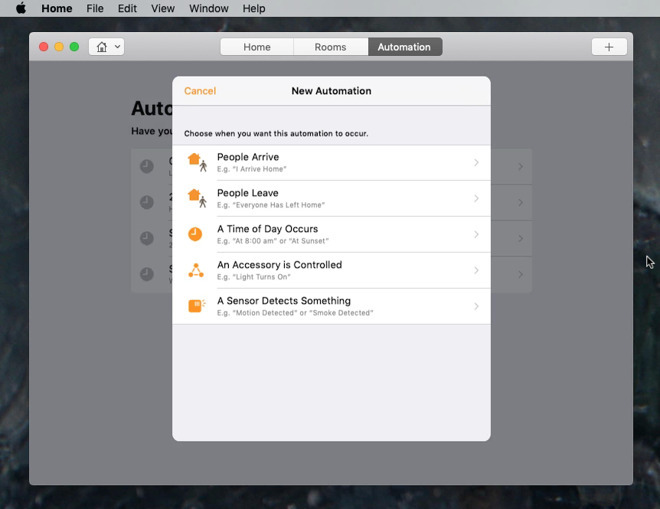 The first time you start Start on your Mac, it will ask permission to connect to iCloud and if you have given that, it will check which HomeKit devices you have. It quickly builds up a list and shows you what it calls your favorite accessories on one screen. When you do this for the first time, Favorites is in fact a synonym for Everything. You must remove items from the favorites list instead of adding them. Unless you have a lot of bulbs, for example around your house, we would not worry. Click one of those rounded rectangle icons at the bottom of the screen and you can switch a device on or off. If the icon is gray, the device is switched off and if it is white, it is switched on. A simple, single click switches between on and off. However, you can do more. Click with the right mouse button to open a menu and you will see it Show controls and settings. With Settings you can give a device a new name: if we have moved our WG Office lamp to the kitchen, we can rename it or things get confusing if we click away annoying people in the other room. In the same way you can say no, a certain device is not a favorite. Once you click on this, the device will disappear from your list. To get it back, you need to click the Home drop-down menu at the top left of the screen and search for it there. You will not go into it settings Very often, but maybe you spend more time Show controls. Because that's where you can say no, you do not want the light in the living room to be full, you want it to be dimmed. Depending on the connected device, you can drag to lower or raise the light level, increase or decrease the temperature, and so on. If you use lamps, you can get further options depending on the type you have. With our White and Color-ones, choose Show controls brings us to the brightness, but a button is highlighted colour to. Click on it and you can now specify exactly which color or temperature your lamp is. Sometimes there are simply no controls, by the way. Apple TV appears in Favorite accessories and that includes things like dimmer switches or motion control sensors and when you choose Show controls you just get their name for that. Whatever the available controls are, if they are available and when you've finished setting what you're looking for, you'll have to go back to the main page. With the iOS app you just tap anywhere on the screen that is not at the buttons and you are immediately at the main view. With Home on the Mac you have to find a Back button and click on it, which is strangely difficult to recognize. It is in the window bar, next to the traffic light icons. 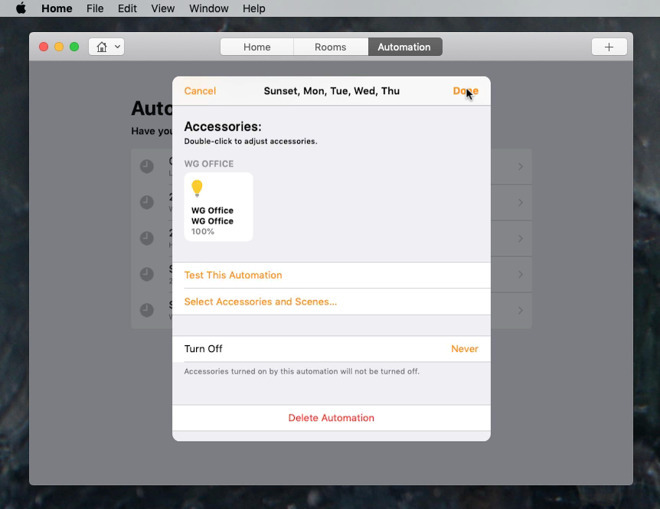 So from your Mac in your home office or the MacBook on your kitchen table, you can turn any light on or off. You can realize that you have left the garage lamp on and switch it off without going back to your car. If you're just not sure whether you've turned it on or not, Home will tell you. Tell us that all of this is lazy and we can not possibly argue. We just wait until you've tried it and have accompanied us to the lazy but also fantastic side. Only, there is a step further that makes Home on the Mac very easy and that you make a convert of everything that is smart. It is automation. We have not switched on the kitchen, the landing or the bathroom lighting in our house in about two years. Correction: we turned them on two years ago and turned them on – just checked via the Home app afterwards. Your devices must be connected and switched on to connect to your Wi-Fi network and thus be remotely operable. When you see Home saying "No reaction", this usually means that someone has switched off the light switch in that room without thinking. That means that Home is no longer able to operate the device – and notice that we say Home. You are not the one who does the driving, it can be the Home app that works according to your instructions. The reason we have not touched these switches in years is that we have motion sensors and they go on when we enter the room. You can immediately see that this means that you never have to walk in to wear something heavy and stumble for the light. What you do not appreciate until you have this is that forever after it seems right that the room around you lights up. 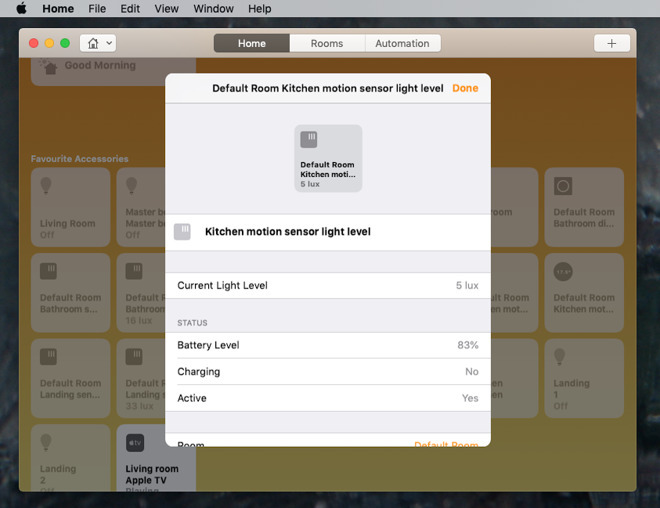 Again, you need a motion sensor and a light bulb, but if you have one, they will appear in Home on the Mac. That's what a section is called Automation. Click on that in the title bar of the window and you will get a list of everything your accessories are set to. The first time you view this, it is probably an empty list. However, you can click and choose the + icon at the top right Add automation. This gives you a range of options when you want something to happen. Suppose you want the light in your living room to burn when you drive to the driveway. The result is that the lights go on, but first you have to think about the cause, the cause. At home you give options for when a sensor detects something, for example movement or maybe smoke, plus items that have to do with the time of day or with people arriving and departing. It is a basic list, but it is powerful. That time of the day, for example, is more than just specifying that you want the thermostat to do something like 19:21 every night. You can say that you want something to happen only on Tuesday – and then at sunset. What time sunset is on Tuesday, where you live, Home will know and do something about it. The second step is to think about which devices you need to do what you want. With the car exle pulling upwards, that would be a motion detector. With the thermostat this is the thermostat. Whatever it is, you first choose the device from the Home list. In the Automation section, you get the list of devices that are displayed in the same way as on the main page: large, rounded rectangles. It would be better to just have a real list, because you can only see a few at a time, but we do not have that option. So scroll down until you reach the device and click on it. choose next one from the top right and now you can say what you want to happen. This is again as the main page, but both in function and form: here you can double-click or right-click to open the controls. Click Done when you are finished and this automation will be added to your list. The improvement since beta is that besides this activity of activating actions at a certain moment or when motion is detected, Apple has added to the extra feature of iOS about you. You can set as many automations as you want, but they only work when you are at home. Really, when your iPhone is on the same Wi-Fi network as your Mac and your devices, but this means you can go on vacation and know that the lights will not turn on every Tuesday at sunset. Every part of this has been possible for some time with Home and HomeKit devices via iOS and your Apple TV. The only thing that has happened now is that a large majority of the functions came to the Mac, but it is enough. We would like to add a new accessory directly from Home, but that is mainly because we are used to it now. Home on iOS is less awkward than the own setup apps of some accessories. That said, you do not often add a new accessory. Or at least you are not planning on. Once you've used Home on your Mac, you'll buy more and more if you have lights, thermostats and motion detectors.